RAISEup Texas project has expanded into other areas of Texas. The first expansion started in 2014 when Fort Bend ISD launched whole school transformation in three middle schools. 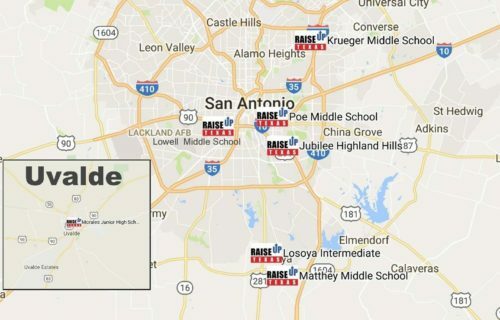 In 2018 the project launched whole school transformation in the San Antonio and Uvalde areas in eight middle schools.The schools include Poe Middle School, Lowell Middle School, and Lowell Academy in San Antonio ISD, Krueger Middle School in North East ISD, Jubilee Highland Hills, Losoya Middle School and Matthey Middle School in Southside ISD, and Morales Junior High School in Uvalde ISD.